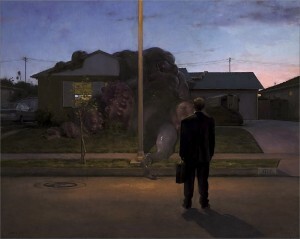 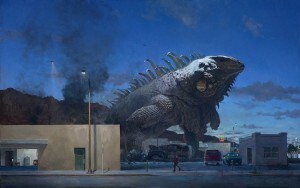 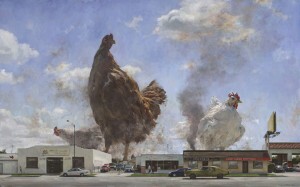 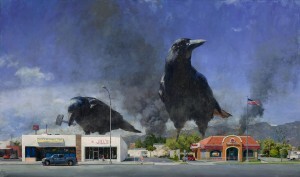 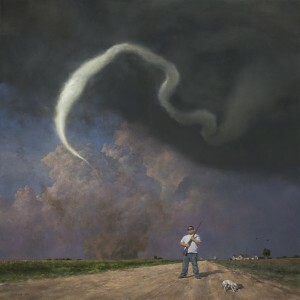 John Brosio was born 1967 in Pasadena, California. 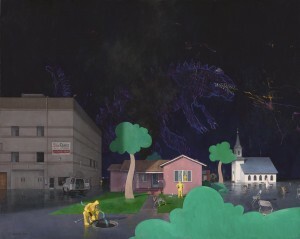 He has been drawing for as long as he can remember and those earliest scribbles depict much of the same "off center" subject matter that concerns him today. 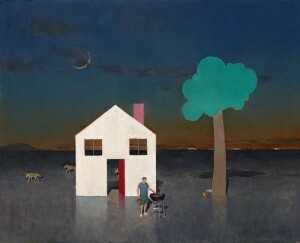 Apart from various travels, his life has been based in either Southern California where he was raised or Northern California where he received a Bachelor of Fine Arts from the University of California at Davis in 1991. 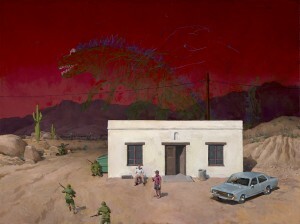 Learning under the guidance of artists such as Wayne Thiebaud and Richard Bunkall, Brosio was seduced away from his original aspirations toward a career in film and movie special effects, consequently, cinematic influences are apparent in his work. 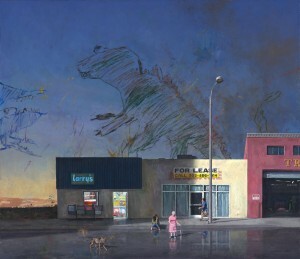 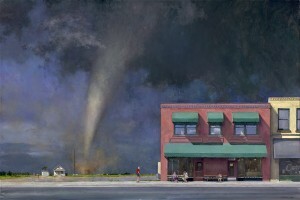 Known originally for his depictions of tornadoes, Brosio spent three seasons "storm chasing" out of Texas and will often go to such extreme measures in pursuit of familiarity with any of his chosen subject matter. 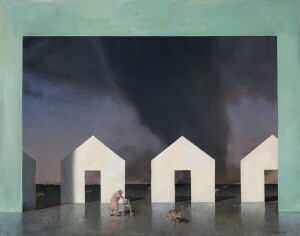 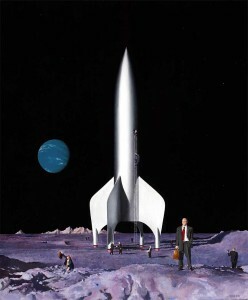 Various exhibitions and honors are highlighted by solo shows in both CA and NY, a survey of his work at the National Academy of Sciences Museum in Washington D.C. in 2008.